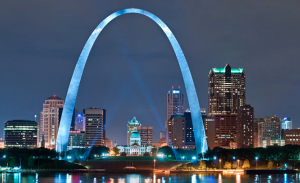 NSAC St. Louis is also known as The Cognitive Behavior Therapy Program of SLUCare Adult Psychiatry Services. SLUCare is the academic medical practice of St, Louis University School of Medicine, and provides clinical services to the general public. Cognitive-behavioral therapy (CBT) has been scientifically tested and clinically demonstrated in hundreds of studies to be an effective form of psychotherapy. It has been identified as an evidence-based form of psychotherapy that is useful in the treatment of a number go psychiatric disorders, including social anxiety. The CBT Program at SLUCare Psychiatry and Behavioral Neuroscience provides cognitive-behavioral therapy for adults and older adults in the general public who experience social anxiety, generalized anxiety disorder, panic disorder, other anxiety spectrum disorders and depressive disorders. The program is also actively involved in teaching, supervision and research. 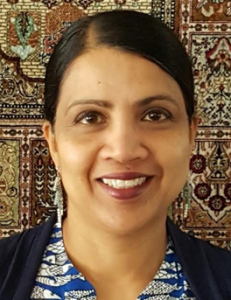 Dr. Suma Chand, is a Professor and Director of the Cognitive Behavior Therapy (CBT) Program in the Department of Psychiatry and Behavioral Neurosciences in St. Louis University School of Medicine. She is a licensed clinical psychologist who has specialized in CBT. She has received training in CBT from the Beck Institute for Cognitive Therapy and Research. She is a Diplomate and Fellow of the Academy of Cognitive Therapy. Dr. Chand started her career as a Clinical Psychologist in the Department of Clinical Psychology, National Institute of Mental Health & Neurosciences (NIMHANS), Bangalore, India. Since then, she has worked in a number of different countries like Malaysia, United Kingdom and Oman before she came to the United States. She worked in the Department of Psychiatry and Behavioral Sciences at the University of Louisville before she joined the Department of Psychiatry and Behavioral Neurosciences, St. Louis University School of Medicine in the year 2008. As the Director of the CBT program, she is involved in training Psychiatry residents and fellows in CBT. As a SLUCare provider she runs CBT Clinics where she offers individual and group CBT. She is an active member of the Public Education Committee of the Anxiety and Depression Association of America, and also serves on the Board of directors for the National Social Anxiety Center. NSAC assumes no liability for it’s regional clinics’ work or practices.